KOHZU offers a line of 3-axis and 6-axis stages for a variety of precision positioning and alignment needs. 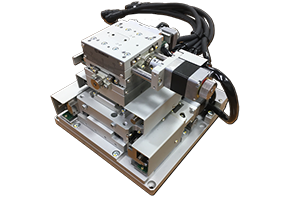 These precision translation stage assemblies offer a broad array of precise motion axes for sample manipulation, optical alignment, precision automated assembly, LCD & wafer alignment, CCD camera arrays, fiber alignment and more. KOHZU designs all their products to be precise and to be production grade for long life. 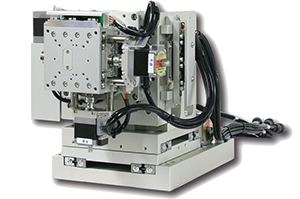 Smart Alignment Stages are a series of low profile integrated XYR axes well suited for optical, mask, laminating, LCD and wafer alignment applications. 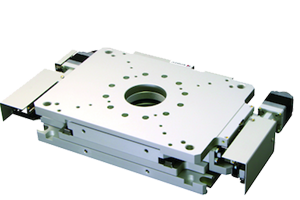 These compact, rigid short travel stages are built with precision ball screws and crossed roller bearings yielding excellent precision for years of exceptional performance. SMR stage assembly is one of our two most compact X, Y, Z, Tip, Tilt and Rotation assemblies with a horizontal mounting surface. This assembly is specifically targeted to optics alignment, synchrotron beam manipulation and applications such as CCD camera array assemblies. USM stage assembly encompasses X, Y, Z, Tip, Tilt and Rotation in a compact assembly with a horizontal mounting surface. This assembly is specifically targeted to optics alignment, synchrotron beam manipulation and applications such as CCD camera array assemblies. 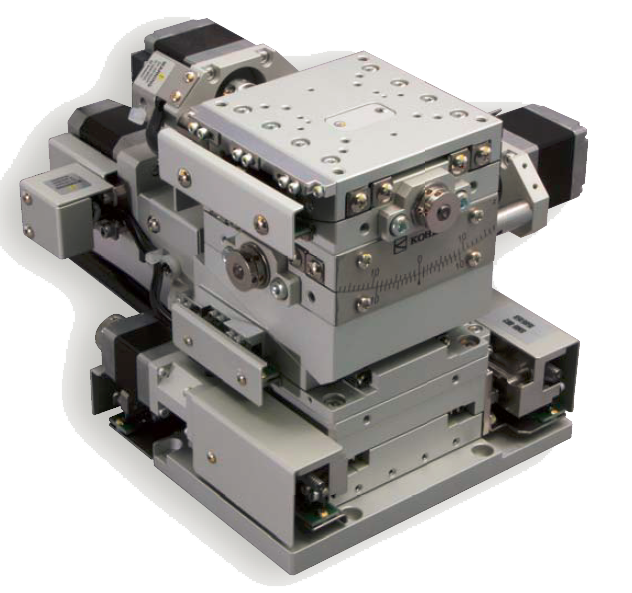 The MPS series is a set of stages configured in compact 6-axis manipulators suitable for precision positioning for applications such as CCD camera array assembly.